I finally hit the magic 100. 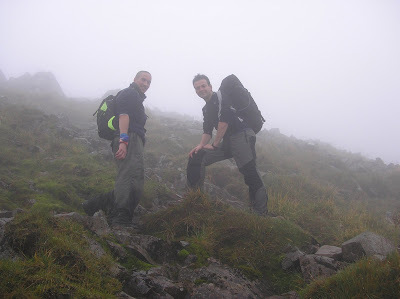 I started Munro bagging in May 2005 with a leisurely jaunt up Ben Lomond. 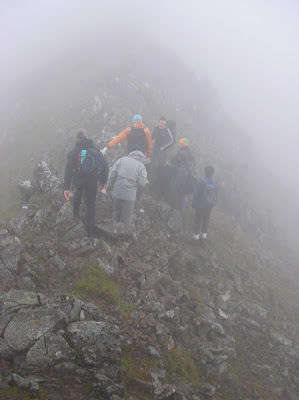 Having completed two marathons and various 10Ks and half-marathons, I thought hillwalking would be a breeze. Pah! I could barely walk for four days. Walking downstairs was virtually impossible. 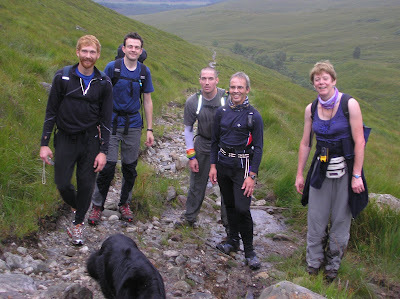 Thankfully three years on, my legs are a little more hill savvy. 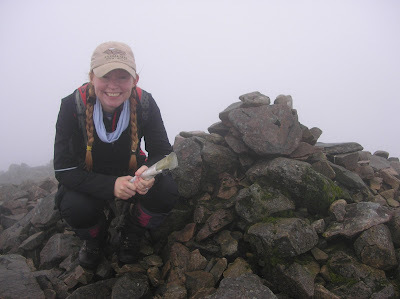 Today, I bagged the other two Munros on Black Mount - Stob Ghabhar an Stob a Choire Odhair. 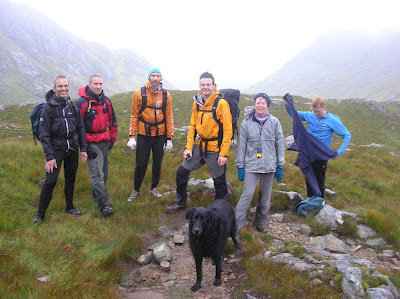 On the Aonach Eagach ridge. Probably just as well that we couldn't see the drops below.